This title did not live up to my expectations at all. I was disappointed, and actually abandoned it before it ended. Not a book I would suggest. I really enjoyed the colorful characters this unique story brings to life. 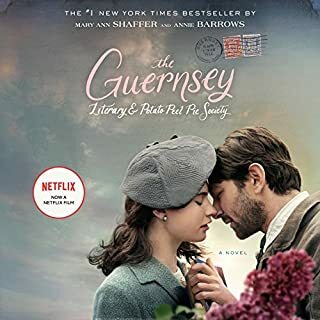 Well narrated, it offers a glimpse at life in the small, close-knit community of Guernsey during and after the Second World War. This book thoughtfully explores the unique relationships and circumstances brought about by German occupation. A satisfying read I highly recommend. This was an interesting historical fiction about two women bound together for life through ancient Chinese custom as old-sames; a sacred relationship more intimate than that of friend, sister, daughter, or wife. Throughout their lives, their histories and constantly evolving circumstances affect their relationship. 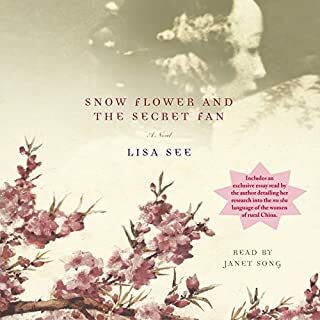 From the tender age at which both girls suffer the tortuous pain of having their feet bound, through their years as young wives and mothers, and finally as old women, they communicate through the use of secret womens' writing on a fan. Their interpretation of one another's joys and sorrows through the writings on the secret fan play an important role in their story. 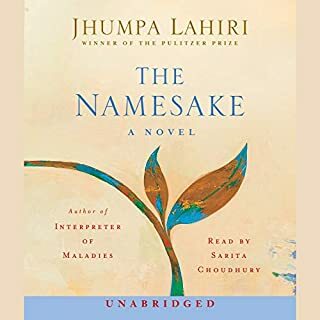 I did not particularly enjoy the narration style; it was read in an unusual monotone delivered in a somewhat staccato style, though this was completely a personal preference. I would recommend this book to readers interested in the history of womens' lives and relationships in ancient China. Meet Emmy, Leigh, and Adriana. Best friends since college, each is 20-something (okay, almost 30) and has seen her share of career foils and romantic foibles in the world's greatest city: New York. Having been friends for more than a decade, they know that they all need a change, so the trio makes a pact. Within one year, each woman will change the thing that most challenges her. I did not enjoy this book. The characters are too stereotypical for my taste; withouth depth, at least not enough for me to begin to really care about them. The plot is silly, and for the most part portrays women as loose (or willing to become loose), shallow and calculating. 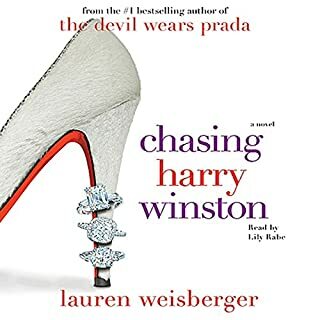 The whole book seems to hinge on the desires of women with apparently low self-esteem to catch and keep a man for mostly all the wrong reasons. This was my second foray into chick-lit, and apparently it's just not for me.